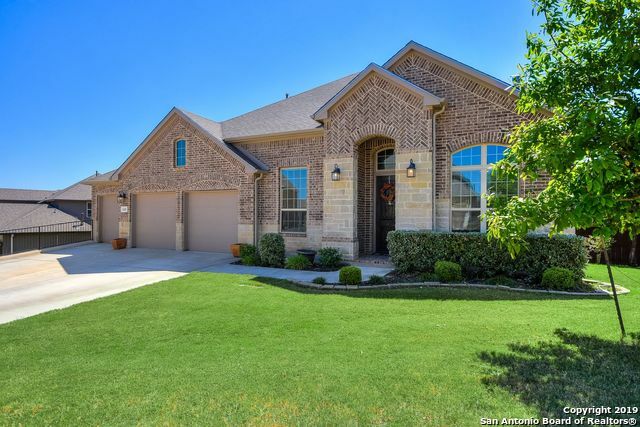 All INDIAN SPRINGS ESTATES homes currently listed for sale in San Antonio as of 04/24/2019 are shown below. You can change the search criteria at any time by pressing the 'Change Search' button below. "VIEWS! 1.5 stry-5/4/4 car tandem-See the sunset&enjoy a view of the hill country from the comfort of your mstr bed or patio!.53-acre property is a fully equipped oasis w/solar panels&mature trees!Home has casual dining&gourmet ktchn areas,&media room is the focus of entertaining.Granite counters,under cabinet lighting,Tree TV mount,tile/wood flooring throughout,&le natural light floods through large windows.The mstr bed is large&mstr bth has over sized shower. 3 bdrms down w/wood flooring in "